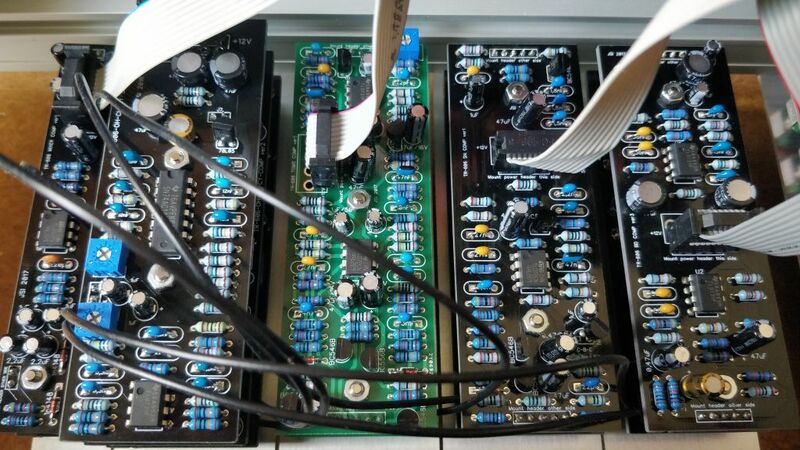 MUFF WIGGLER :: View topic - TR-606 - is there any clone in DIY format? 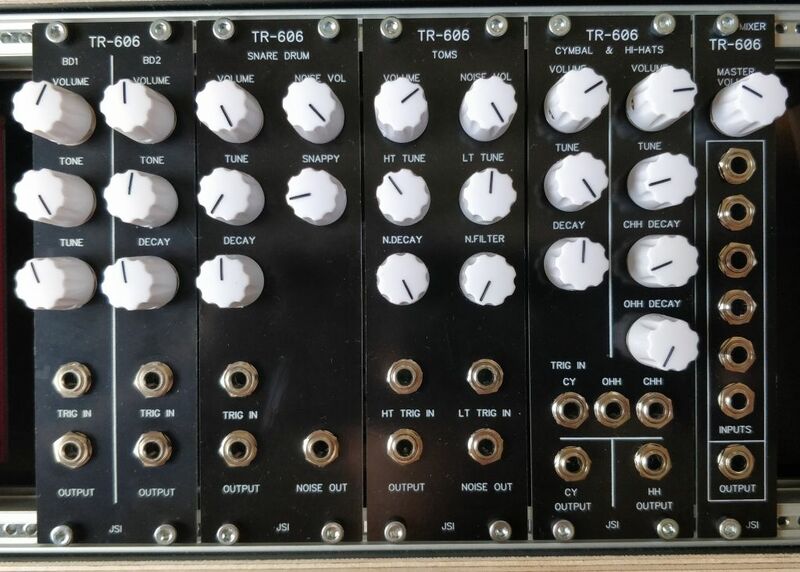 TR-606 - is there any clone in DIY format? I'm aware of the acidlab clone, but I'm willing to build a clone as with the Yocto. Is anyone aware of any DIY kit of any of the 606 sounds? I'm in love with the snare. There used to be the TR-8060 which was a DIY project inspired by both the TR-808 and the TR-606. I don't really know if it is all that close to the sound of the TR-606. Unfortunately the project doesn't exist anymore :( I e-mailed the person behind it and asked him to make the sources publicly available again, but I never got an answer. Let's hope someone decides to go on and build some! I've got a mint TR-606 for sale, if you're interested? Exactly what I thought I'd write here after reading the thread title. Except for the "mint" adjective. I thought cloning was worth it for stuff you cannot get anymore or very expensive and hard-to-find. I guess I was wrong. I admit though you might also learn a lot by cloning a circuit, no matter if cheap or not. no matter if cheap or not. Just checked prices on ebay. Seems I've not look at 606 prices for a loooong time and that I was a bit too fast pretending they are cheap (compared to what they can do or how they sound I mean). Just saw this... whoever made this, we know you're around here... show yourself! ^^^ this is going to be the one. Anybody have the firmware for the trigger converter? Man, everything has gotten expensive in the "vintage" field these days. I think it's because vintage stuff in general is so trendy. It's kind of ridiculous though. I see Arp Odysseys on Ebay for $3000+ on the regular. Puleeese. And there's a guy selling an Axxe with yellow keys for $1000 right now. I don't know who's buyhing this stuff, or maybe it's not moving? But, people are trying. Price notwithstanding, it’s also sometimes nice to separate the voice circuits from the rest of the device, or to have the freedom to experiment with modifications without the worry of mucking up an original. I've done all the "gerbster" modules in eurorack skiff style. There are errors in he's schematics and a few unnecessary add-ons (at least in my opion), so beware. I haven't released anything yet, since I want them to be error free, but here's a FB live video with line out audio. ps. 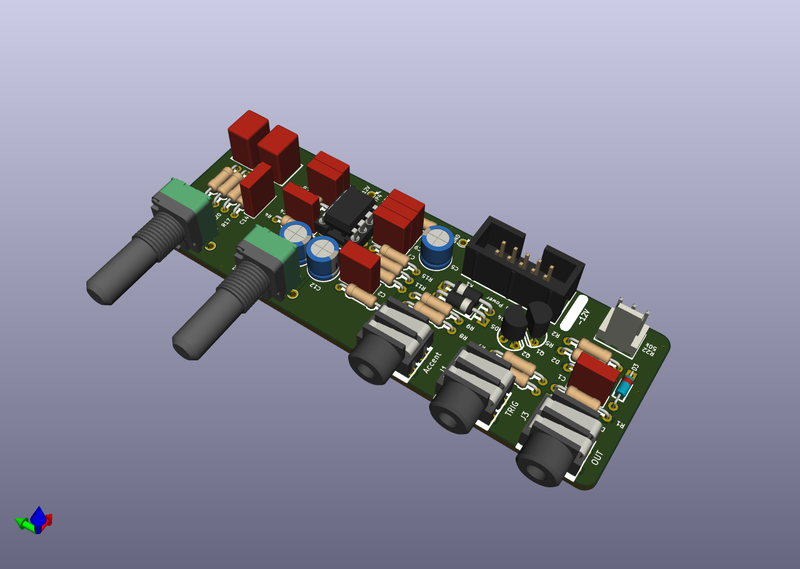 I also didn't get any reply from gebster..
Oh, that 5U PCB looks freaking amazing! If you make a run, I'm def. in for a set for sure! I'm not into 5U, but that is really easy to mod it to a desktop thing. Are the published etch layouts have those errors as well? What were the errors you found in his schematics? I haven't dug in to far but I found that some of the pot pins were incorrect. that would be fantastic! I also looked at the gerbster files, and at some point wanted to ty to build them (from the schematics, not the layouts) ... so if you point out errors that would help a lot. I would really like to see a 606 style drum module, 16hp, bass, snare and hihat, pretty much like the old DrumDokta. Not much cv input needed, just triggers.